Sanner's Lake offers several rifle classes from time to time. See the Club's calendar for dates and registration instructions. 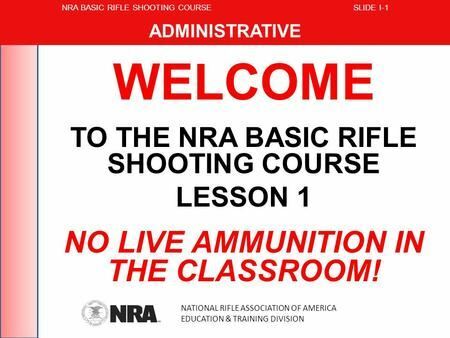 NRA Basic Rifle Training: We offer the NRA's basic rifle training class. We provide all materials, including firearms and ammunition. 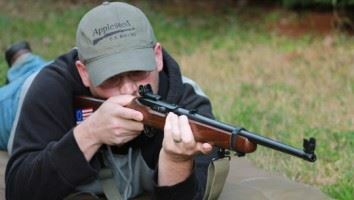 Appleseed American History & Three-Position Rifle Shooting Clinics: The Appleseed program is an amazing blend of Revolutionary War history and a clinic on improving one's skills in three-position riflery. We offer these events on a quarterly basis. NRA Rifle Instructor Certification Classes: We offer one or two classes to certify folks as NRA Instructors. Ideal instructor candidates should be familiar and experienced with both rifle marksmanship and with teaching/instruction. NRA Rifle Coaching Clinics: We have offered Coach Clinics in the past and will offer it in the future on as as-requested basis. These clinics enhance your skills in being able to teach a diverse group of students, including the physically disabled. Contact SLSC Training Coordinator John Mountjoy, SannersTraining@gmail.com, (301) 904-6156 if you have questions.